Home » Russians: The Most Betrayed People in Modern Times? With the possible exception of the Palestinian people, Russians are probably the most betrayed people in modern time. The "Russians" in a wider meaning are the people inhabiting Russia, Belarus, Novorossia, Malorossia, Transnistria, northern Kazakhstan and half of the Baltic region - this is the Russian World. They are artificially divided into Russians, Belorussians and something called "Ukrainians", but they are all essentially Russians. A person from the Urals is not "Uralian" and a person from Kamchatka is not "Kamchatkian", they are Russian. In the same way, a person from Belarus or from former Ukraine (except Galicia) is also Russian, whether they know it or not. This is a simple genetic and historical fact. During the Russian Empire (Tsarist times) and during the USSR (Soviet times), the people lived together in harmony, except for the westernmost parts of "Ukraine", where the people are not really Russians. But all the way back, from the 1800’s and forward, this people has been betrayed by many of its leaders. Some Tsars were good, others were bad, and some were just incompetent. Then came the communists who started with great plans for the people but ended up betraying themselves (for reasons we will not explore here). Then came Yeltsin, who betrayed the people and country more than everyone else put together, so Russia became a third world nation, a colony of the West. And then came Putin. He slowly reversed all the misfortunes and with the liberation of Crimea he really looked like the savior of Russia and the Russian World. But then something happened and right now we do not know what the epithet of Putin will be, although I think and hope it will be very positive. Now in this Russian World, the most betrayed people is the Russian people of Novorossiya. They were betrayed 23 years ago when their country was split up and they were promised autonomy. They were betrayed three years ago, when their legally elected president was overthrown by Nazis and fascists. They got betrayed when they were encouraged to rise up against the Kiev Nazi junta but received no decisive help. They were betrayed when their offensive for liberation was stopped twice by their supposed liberators. And they are still being betrayed daily. I hope I am wrong, but it sometimes even looks like this was planned from the start of the uprising, the "protector" of the people of Novorossiya maybe never wanted Novorossiya to succeed. Even if the “plan" now is to dominate all of former Ukraine, it cannot be done with just half of Donbass as a tool - you need all of Novorossiya for that, at least. But the people of Novorossiya are obviously expendable - the fact that they still exist is a great surprise and a big annoyance for some persons, and I am not speaking of only the Kiev Nazi junta. But we are not at the end of this, not even at the beginning of the end. We are just at the end of the beginning. 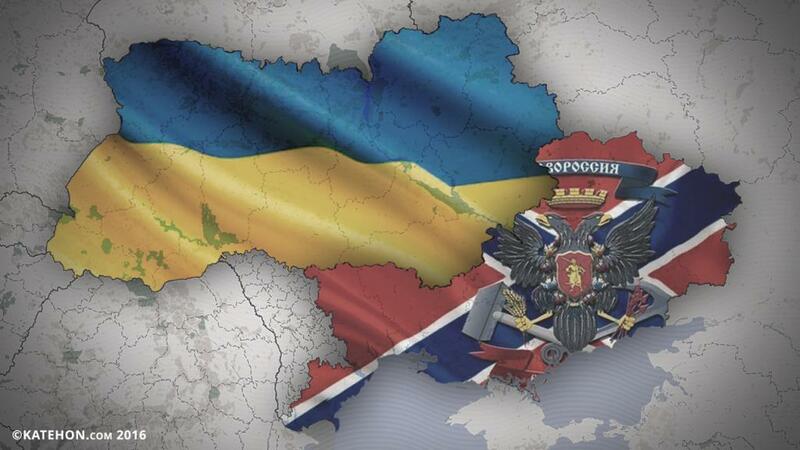 The process has started and cannot be reversed, the word Novorossiya has been spoken and cannot be "un-spoken". No matter the oppression or the treason, the people will rise and create a free Novorossiya of eight oblasts (minimum) sooner or later, and then liberate Malorossiya and Transnistria too, and even Malorossiya. There is still time to rectify all the missed opportunities from the past years and achieve a pro-Russian solution to the crisis, but time is not indefinite. There is still time for Russia to help liberate Novorossiya and Malorossiya, and there is still time to stop another betrayal of the Russian people and the Russian World. The battle for Russia is being fought in Novorossiya, and the battle for Novorossia is fought in Moscow. Neither God nor history will tolerate defeat!